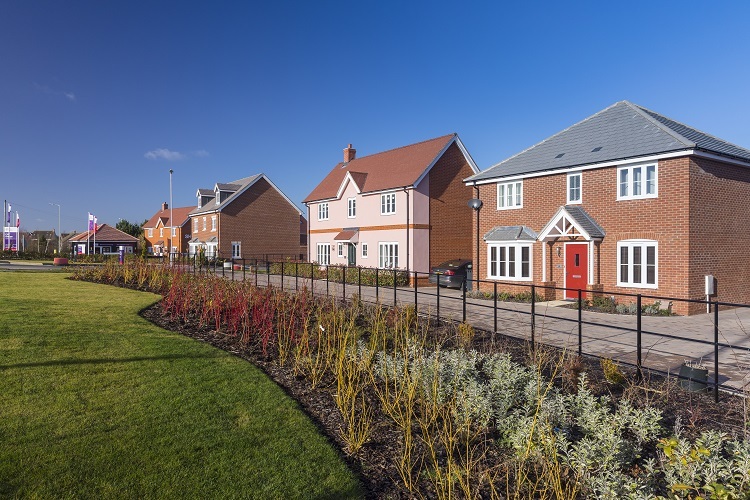 Home hunters looking to move to Bury St Edmunds will be spoilt for choice thanks to the variety of homes available at Taylor Wimpey’s Lark Grange development. 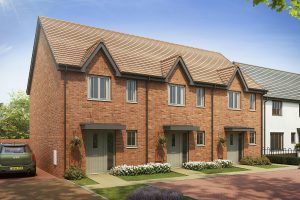 With a choice of two, three, four and five-bedroom homes, priced from £259,995, there is something for everyone, from first time buyers and young couples to growing families and downsizers. All of the homes at Lark Grange are brand new and offer a huge range of benefits over a second hand property. With no house buying chain, people can move into their new home as soon as it’s ready and avoid the stress and uncertainty that often comes with buying second hand. Moving to Lark Grange can be made even easier with the help of Taylor Wimpey’s range of incentives including Part Exchange and Easymover, both of which can help people with home to sell. The Government backed Help to Buy scheme is also available on selected homes at Lark Grange, enabling both first and second time buyers to secure a new home with a deposit as low as 5%. Other benefits of moving into a brand new home include having the opportunity to customise it from the very beginning without having to worry about any renovations or repairs. Homeowners can also relax in the knowledge that every Taylor Wimpey home comes with a 10-year warranty from the National House Building Council (NHBC), as well as a two year warranty from Taylor Wimpey. A new build home is also more energy efficient and homeowners often find that they can make savings on their household bills when compared to second hand properties*. 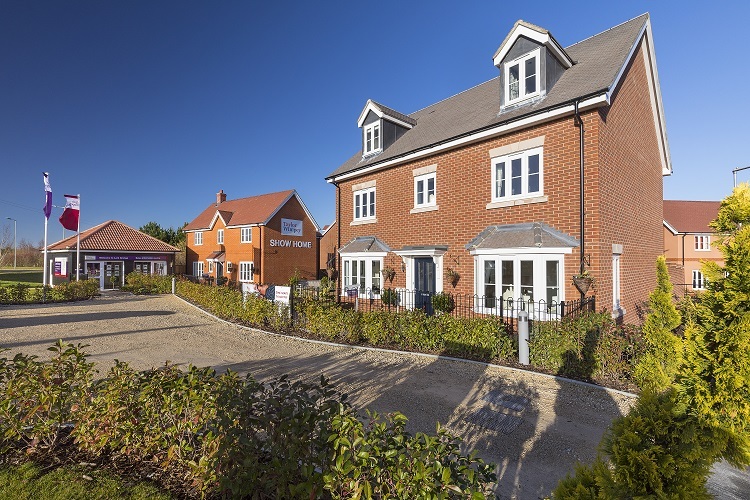 Caroline Carter, Sales Manager and Director at Taylor Wimpey East Anglia, said: “There are so many benefits of buying a new build and we are pleased to be able to offer such a wide variety of homes and incentives to help people move onto, or up, the property ladder at Lark Grange. 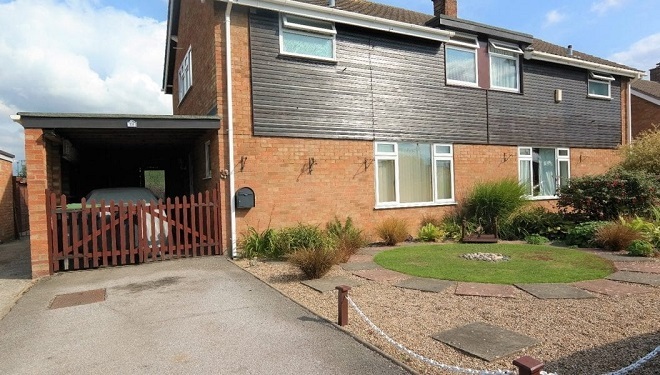 Lark Grange is located in the lively community of Moreton Hall, with shopping and leisure facilities, as well as schools and pubs right on its doorstep. For additional amenities, Bury St Edmunds town centre is just three miles away. For more information about the homes available at Lark Grange visit www.taylorwimpey.co.uk or call 01284 337175. 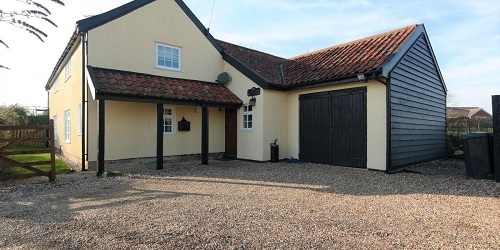 The Sales Centre is located at Mount Road, Bury St Edmunds, Suffolk, IP32 7FB and is open Wednesday to Sunday between 10am and 5pm, 1:30pm and 5pm on Mondays and between 10am and 2pm on tuesdays. Further information about the benefits of buying a new home with Taylor Wimpey can be found at www.taylorwimpey.co.uk/buying-with-us/why-choose-us/why-buy-new. Andrew Bright and fiancée Ash Bullman were celebrating their engagement in the Mexican sun when they made the life-changing decision to buy their first property together. 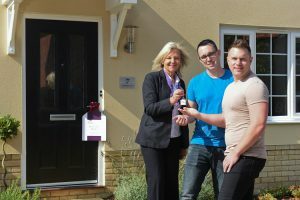 Thanks to Taylor Wimpey the couple were able to find their dream home quickly and just eight weeks later had moved into a four-bedroom Midford at Tharston Meadow in the village of Tharston, Norfolk. 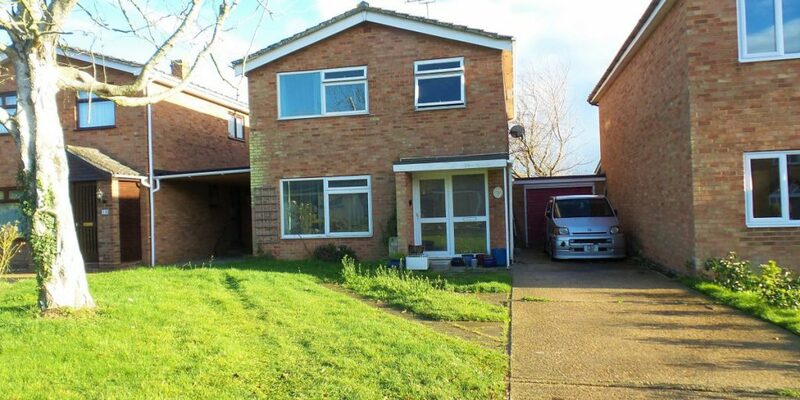 The couple, who had been renting a property in South Lopham for over a year, had dreamed of finding their perfect ‘forever home’ to buy together. Just a day after getting engaged in Mexico in March 2018 they decided to take the plunge, and after visiting Tharston Meadow Andrew and Ash soon settled on a traditional detached home. Andrew said: “In the end, our choice was simple. 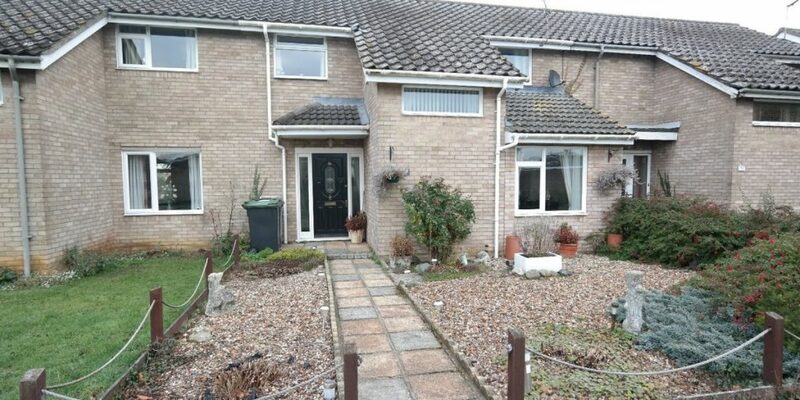 We wanted a fresh, ‘hassle-free’ house which we could put our own stamp on, but be happy with whilst we decide what that stamp is. 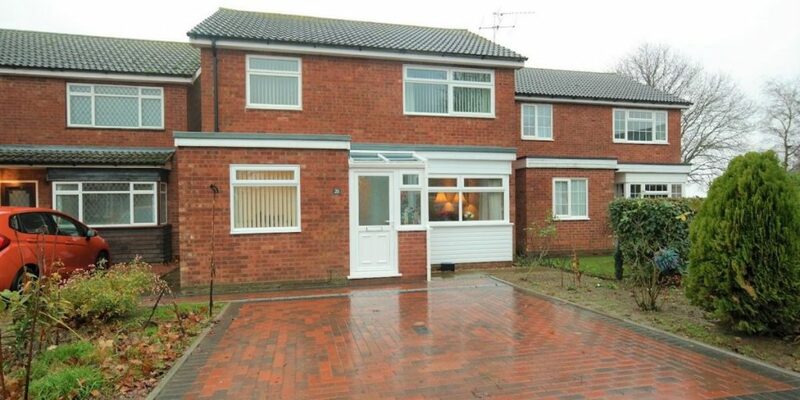 We also wanted a spacious home where we have enough room for family and friends to visit. Ultimately that’s what Taylor Wimpey offered us. “We chose a Midford housetype mainly because of the large kitchen-diner. We’re always entertaining so we needed that big social room and enough bedrooms for friends and family to stay with us. We have our own business so we’ve already turned one of our four bedrooms into an office. Our plot also has a large, south-facing garden, which is ideal for us. “Being business owners, location was high-up on our list of priorities. We’ve got friends who already lived at Tharston Meadow so we knew it was in an idyllic village but with great local amenities close by. At Tharston Meadow we’re also just 15 minutes away from work and it’s only 20 minutes to Norwich. Taylor Wimpey East Anglia case study on new home owners Andrew Bright and his partner Ash Bullman at the Tharston Meadow development, near Long Stratton, Norfolk. Andrew and Ash are pictured with Dawn Baker from Taylor Wimpey. 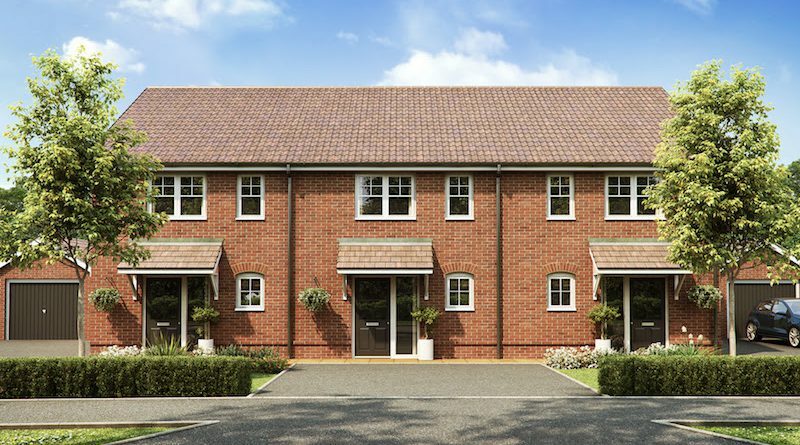 The four-bedroom Midford is a spacious family home. The ground floor comprises a large kitchen-diner, with French doors leading to a private garden, a living room, cloakroom and utility room. An en suite master bedroom is found upstairs, along with two further bedrooms, a main bathroom and a versatile bedroom. To find out more about the homes available at Tharston Meadow, visit the sales office located off Chequers Road, Tharston, Norfolk NR15 2YA, which is open 10am to 5pm Thursday to Sunday. Alternatively, contact the Sales Executives on 01508 500571. Further information, including details on other Taylor Wimpey developments in the area, can be found at www.taylorwimpey.co.uk. Prospective homebuyers only have a few opportunities left to purchase a new property at Taylor Wimpey’s Admirals Quarter development. The sought-after site in the Suffolk village of Holbrook, comprises 78 homes, but there are now only four new properties available to buy. 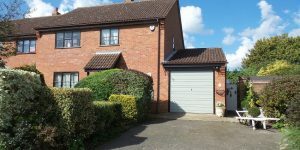 Nestled between the rivers Orwell and Stour, Holbrook is a large village just south of Ipswich with plenty of amenities for daily needs, excellent schools and great transport links. 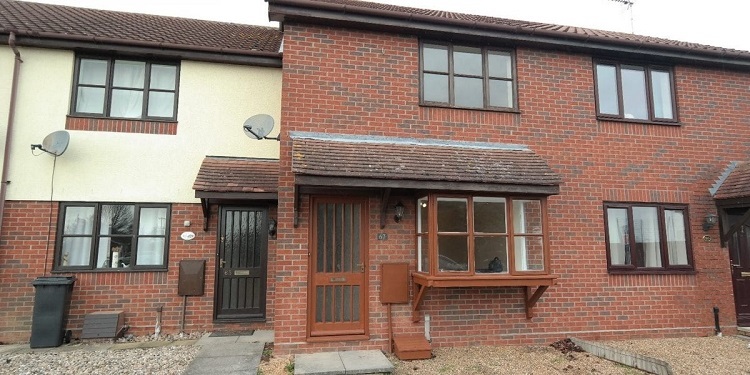 Among the homes left to buy is the two-bedroom Belford, an end terrace home with two parking spaces, available for £224,995. 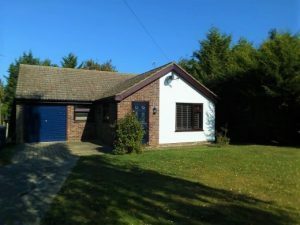 Or for those that need a little extra accessibility, the Westerfield two-bedroom detached bungalow is available for £299,995. There are a variety of incentives available for all types of buyers at Admirals Quarter, including the Government-backed Help to Buy scheme, which allows buyers to reserve a home with just a 5% deposit. 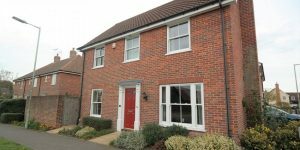 Taylor Wimpey’s Easymover scheme enables existing homeowners to reserve a Taylor Wimpey home, even if their current property has not sold. Part Exchange is also available and helps existing homeowners to sell their home so they can move into a new build home without the hassle of putting their old home on the market. To find out more about the last remaining homes available at Admirals Quarter, visit the sales office in Ipswich Road, Holbrook, Suffolk, IP9 2QY, open 10am to 5pm Thursday to Sunday, or call 01473 353164. Further information about Taylor Wimpey developments in East Anglia can be found online at www.taylorwimpey.co.uk. 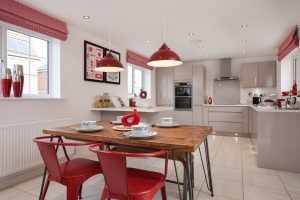 In a bid to help first time buyers secure their first home, Taylor Wimpey East Anglia is holding a special event at its Kingsbrook Place development in Elmswell, Suffolk. The event takes place on Saturday 21st July between 10am and 5pm and will give people the opportunity to find out how Taylor Wimpey can help them buy at Kingsbrook Place, as well as the chance to speak to an independent representative from Mortgages First who will offer free advice on financing a new home. The event is designed to help people who are looking to take their first step onto the property ladder find out more about the financial options and incentives available to them, such as Help to Buy which enables purchasers to secure their first home with just a 5% deposit. The sales team will talk visitors through the Taylor Wimpey First Time Buyers Guide*, which has all the information you need in order to help you through your house purchase, and there will be special offers available for those who reserve a property on the day. Prospective homebuyers wanting to attend should call the Kingsbrook Place sales office on 01359 300761 to book their appointment. Taylor Wimpey’s Kingsbrook Place development office is open from 10am until 5pm Tuesday to Sunday and 1.30pm until 5pm on Monday. 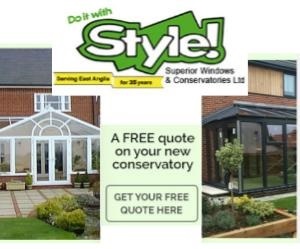 To speak to a Sales Executive visit the sales office in Station Road, Elmswell, Suffolk, IP30 9HA. 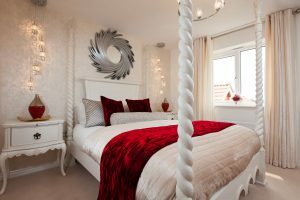 For further information on Kingsbrook Place, or other Taylor Wimpey developments within your region please visitwww.taylorwimpey.co.uk. 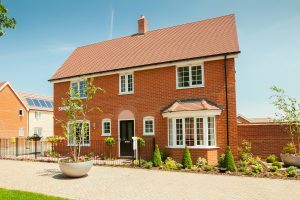 Taylor Wimpey has released new homes for sale at its popular Kingsbrook Place development in Elmswell. Available to reserve from today, the two-bedroom Belford is the ideal home for first-time buyers or those looking to downsize. The ground-floor of the contemporary home presents a kitchen-lounge-diner, providing ample room for relaxing and socialising in one flexible space, French doors which open out to a private rear garden and a guest cloakroom and storage cupboard. The first floor features a generous master bedroom, and a second double bedroom along with a main bathroom. 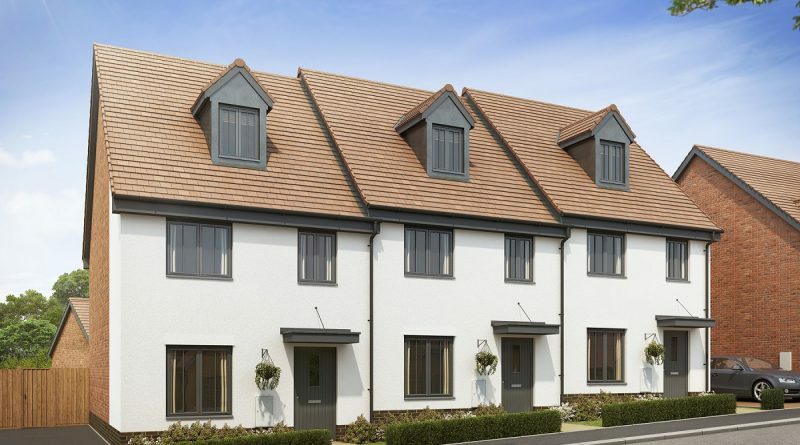 Caroline Carter, Sales and Marketing Director for Taylor Wimpey East Anglia, said: “The response to Kingsbrook Place so far has been incredible and we have delivered a mix of homes for purchasers in a variety of circumstances. We are pleased to be able to offer additional homes at the development, which enables more people to join the growing community. To book an appointment with a Sales Executive, please call01359 300761. For further information about this, and other developments within East Anglia, please visit: www.taylorwimpey.co.uk. 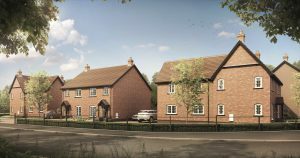 A new housing development on the southern edge of Framlingham will welcome home hunters for the first time this month. Taylor Wimpey East Anglia will launch Castle Keep, off Fairfield Road, in late April. Two and three-bedroom homes will be available to reserve right away, with four and five-bedroom homes to follow later this year. A brand new four-bedroom showhome will also open during the launch weekend to help visitors picture what life at the development could be like. Planning permission for Castle Keep was granted in 2016 and Taylor Wimpey started work on site in July 2017. In total 163 new homes are due to be built, with work currently expected to finish in 2021. As well as bringing new homes – including affordable housing – to the Framlingham property market, Castle Keep will help the town through planning obligations which will ensure funding is put towards local infrastructure. Education, fire and rescue, health services and highways will all benefit from the development. Further funding will come from the New Homes Bonus, which is a grant paid by central government to local councils. 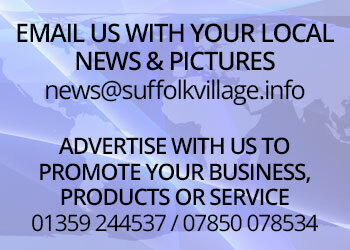 Based on 163 homes, funds in the region of £1.14m will be generated for Suffolk Coastal District Council. Castle Keep is on the southern edge of Framlingham, less than half a mile from the historic town centre with its 12th century castle and mix of traditional shops, pubs and cafes. There are several schools within a mile and a half of the new homes including Framlingham Sir Robert Hitcham’s CEVAP School, which was rated ‘good’ in Ofsted’s latest report in January 2018. 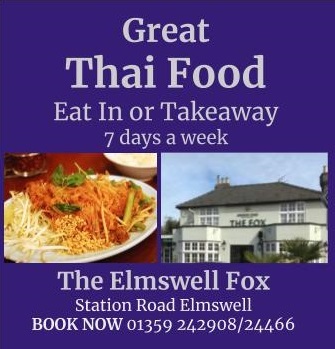 The town is well connected by road with the A12 just five miles away by car, and Wickham Market railway station is six miles away for services to London Liverpool Street via Ipswich. Direct trains to Lowestoft mean the Suffolk coast is within easy reach. To register your interest in Castle Keep call the sales office on 01728 440485 or visit the development website at www.taylorwimpey.co.uk/find-your-home/england/suffolk/framlingham/castle-keep.